I read this article and found it very interesting, thought it might be something for you. 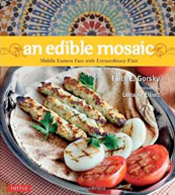 The article is called An Edible Mosaic’s New Look and a Chat with the Web Designer from Deluxe Designs and is located at https://www.anediblemosaic.com/an-edible-mosaics-new-look-and-a-chat-with-the-web-designer-from-deluxe-designs/. Today’s post was a long time coming.